Do you need a new garage door? Is your old door falling apart from use and abuse? 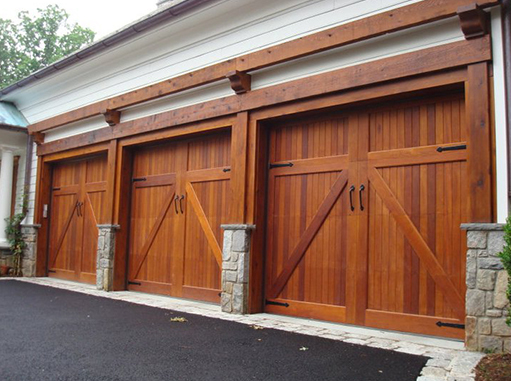 Like anything else, your garage door, especially if it’s made of wood, will wear out due to the constant exposure to the elements, not to mention normal wear and tear! Local Garage Door Repair El Cajon CA is the leader in garage door installation in the El Cajon area for both home and residential locations! We love working with customers in picking out a new garage door or helping them design a new one. We also love it when we see our customers’ eyes light up when they see their new garage door open and close for the first time! We work with all of the major garage door manufacturers including Wayne Dalton, Clopay, Amarr, Liftmaster, as well as other top of the line manufacturers. We also offer a 100% money back guarantee on our services, and the garage doors and related components are backed up by the manufacturer’s guarantee. If you’re ready to install a new garage door, call us today to set up an appointment!! Call us at (619) 550-3588. If you’re interested in getting a new garage door, you’ll also need to make sure that your current garage door opener will work with your new door. If not, then you’ll need to install a new garage door opener. We work with all of the major garage door opener companies including LiftMaster, and we can install any type of opener. Belt drive garage door openers are extremely quiet, but they’re also the most expensive of the openers. Screw drive garage door openers are innovative in terms of their design and work great for heavier doors. If money is an issue, then the chain drive opener is your best bet, but be forewarned that they’re also the noisiest. Direct Drive Jackshaft Openers are a terrific alternative to the overhead openers and work great in commercial locations with low ceilings. Springs are one of the most important part of your garage door system; in fact, without them you won’t be able to open the door. Therefore, you really need to pay attention to them and make sure that they’re in good working order, including lubricating them on a regular basis. It doesn’t matter if you have extension springs (for use with lighter doors) or torsion springs (made for heavier doors); they need TLC and if you neglect them, there’s no way around it… you’re going to be in a world of hurt until you get someone to fix them, and we’re just the people to fix them. Contact us for more information.